My girlfriend is currently in the market for a car at $5,000. We live in Logan, UT and are looking within about 100 miles of Logan, and hoping to complete this purchase within the next month. Ideally this car would last around five years to get her through grad school. That being said the car would need to be fuel efficient with low maintenance costs. I imagine the ideal buy here being a Toyota Corolla with 130,000 miles or less. I have found these cars on the market but most are sold within days. I’m curious if you have any advice as to what other cars are worth pursuing with these parameters, or what we can better do to lock down one of these Corollas. I’ve considered talking to a small-time dealer to go to auctions and hunt for a Corolla for us. Not sure what the best move is here. So I think the issue you are having is your search is too narrow in scope. If you are only looking for a Corolla with under 130k miles under $5,000 inventory is going to be really thin. 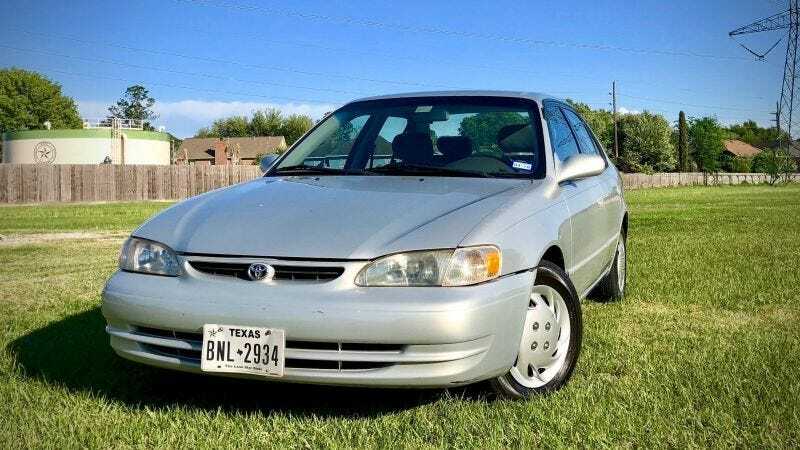 While Toyotas of this vintage can be theoretically found in this price range and are typically pretty darn reliable if you can’t find one in your vicinity that doesn’t help your situation. When you are working with such a limited budget the key is to find the nicest and most reliable car you can, but be flexible. What about the Toyota Matrix or Pontiac Vibe? Those were basically “Corolla hatchbacks” and are pretty durable, perhaps a Honda Fit could work as well. Open the net up, there are a lot of cars from other brands that aren’t Hondas and Toyotas that will run well even with high miles. Just make sure you get it inspected. Is taking over a lease something you would recommend? I am looking for a car for my daughter. She will only need it for the 12-16 months since she will be going to college next year. I was looking at Swap-a-lease and Leasetrader but was wondering if you get me more info and your thoughts. Websites like Leasetrader and Swapalease can be excellent opportunities to essentially to take advantage of someone else’s leasing mistake. But it’s a win-win situation, they get out of their lease and you can grab a nice car to drive for a bit. Sometimes, the lessees will even give you money as an extra incentive. While I normally don’t recommend having parents lease cars for their kids due to the variables in usage and wear, in the case of your daughter who only needs a car for a short time, it could be worth looking into. Just make sure the mileage balance on these leases is enough to put you in a safe zone and you don’t get hit with mileage penalties later. I am looking to buy an SUV here in the Atlanta area and I would like to buy one with a trailer hitch and cargo carrier on the roof rack. If the car I want to buy does not have these accessories already, can I ask the dealer to put them in the original purchase price (so its part of the loan) as opposed to paying cash for these items? When I wanted to build the car online, it seemed as if I could add these items with no problem and they would be added to the total purchase price but I wasn’t sure how the other scenario works. You can absolutely roll dealer added accessories into the loan. Now the key here is you want to be sure you aren’t getting hosed on those parts, dealers in the South are notorious for tacking on marked-up accessory packages. As always request a full breakdown of all fees and add-ons from the dealer in your out the door price. Cross-reference the cost of those accessories with what is listed on the manufacturer website, though also keep in mind that dealers will charge an installation fee on top of the parts. While rolling everything into the loan is certainly convenient, sometimes you can save a lot of money on accessories buy looking into aftermarket solutions. I was thinking of picking up a jaguar xk8 (1999 -2005) as a fun 3rd car. They seem reasonable for a fun to drive coupe or convertible that should be fast and different from most other cars. My concern is the cost of parts or repairs and what the reliability of a British sports car is even now. It looks like I can get a nicer low mileage car for around 15k. Am I crazy? You might be crazy, but here at Jalopnik buying an XK8 is the good kind of crazy, especially if you get it in British Racing Green. In all seriousness, this is a 3rd car for you. You don’t have to rely on it to get to work, you aren’t spending a ton of money and at $15,000 they are well at the bottom of the depreciation curve. As long as you budget for the inevitable and expensive repair costs or are willing to do some wrenching yourself, I say go for it.